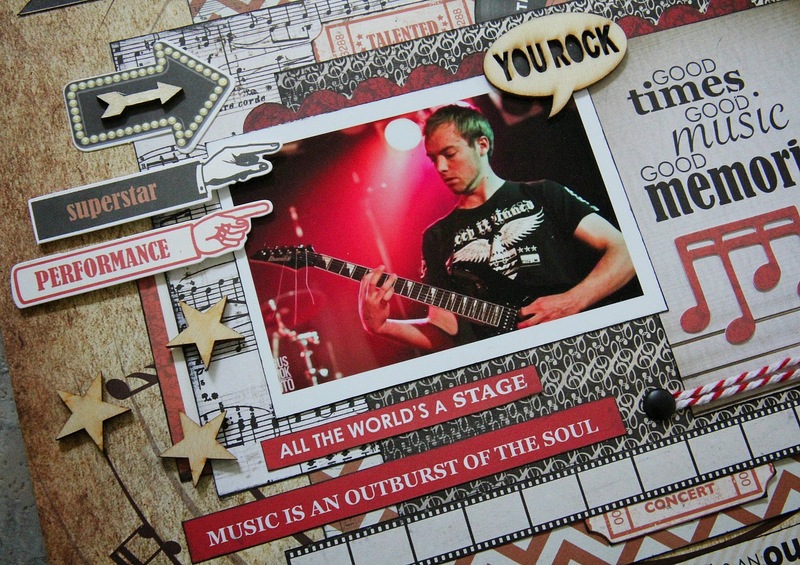 Hi All.....Kaisercraft's 3rd release this month is the fabulous "On Stage" collection...perfect for all those muscical/performing photos to get scrapped! 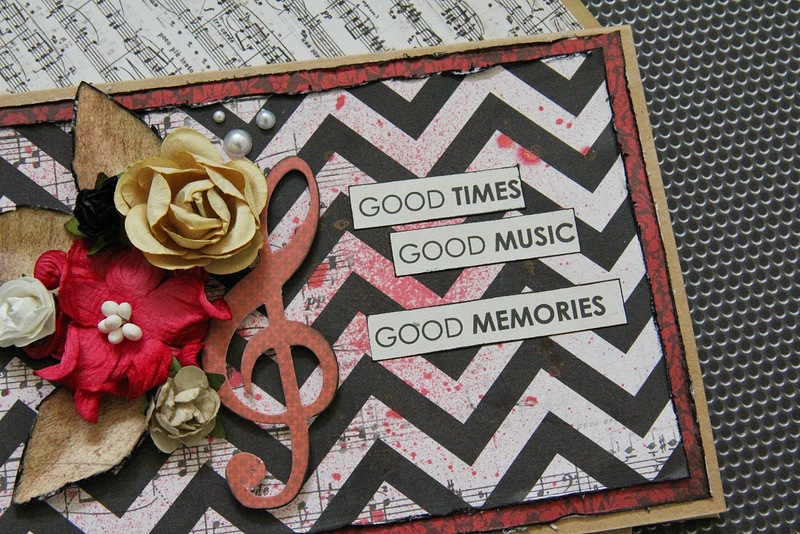 It is full of fabulous colours & patterns....and here is what I have created with it. 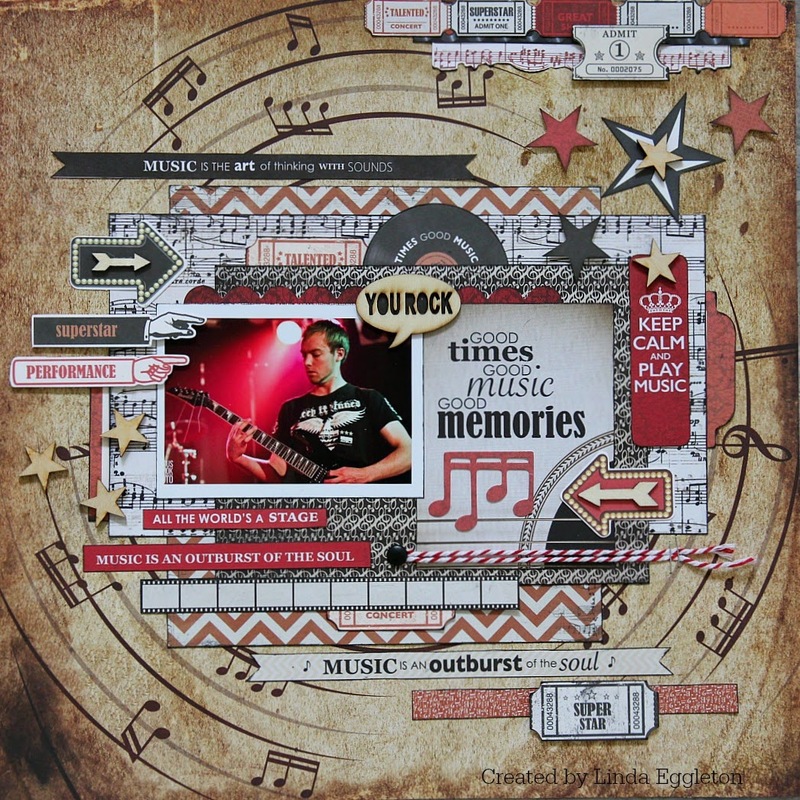 I've used the Encore piece for the background....I just love those musical circles going around the page! There's so many fabulous music orientated pieces in this collection...and some really cool verses too! Also lots of star pieces in the Collectables pack & on the Sticker Sheet. 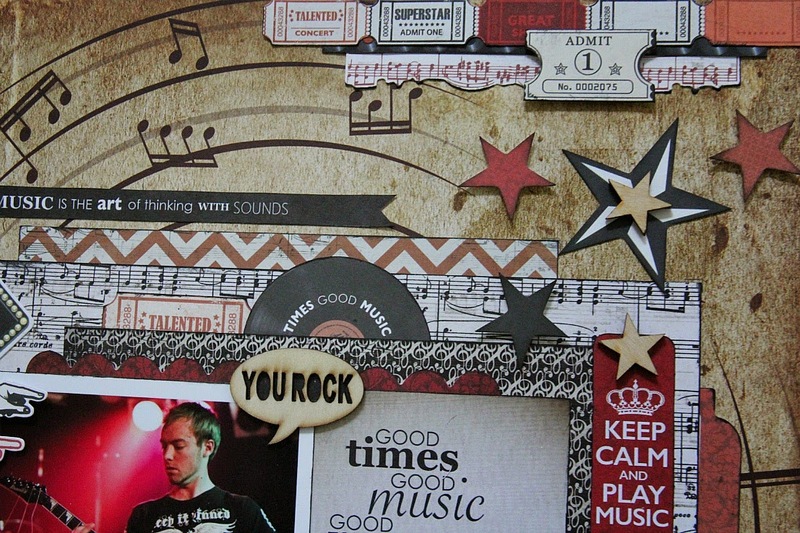 I have added a few wooden veneers from my stash as well. 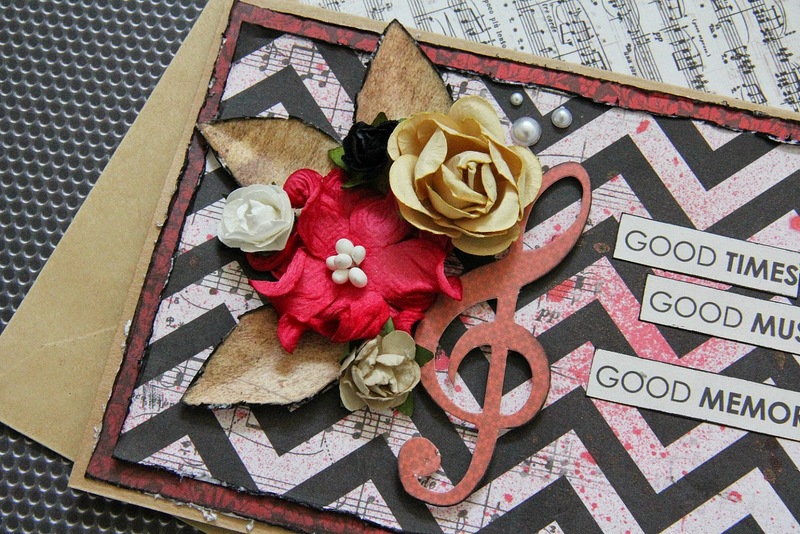 I created a little pocket at the side of my paper layers & have used one of the pieces cut from the Arts paper as my journal card. I have used one of the Collectables note pieces together with a few flowers to create a cluster, and have finished it off with a few leaves cut from the new Kaisercraft Leaves decorative die....which comes with dies for a few different sized & shaped leaves!! 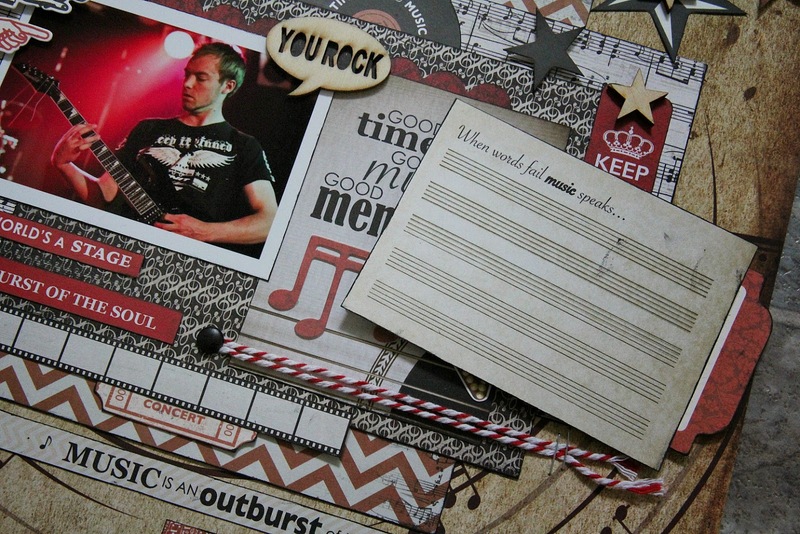 These look wonderful, perfect photo for these papers, love the use of the collectables too! 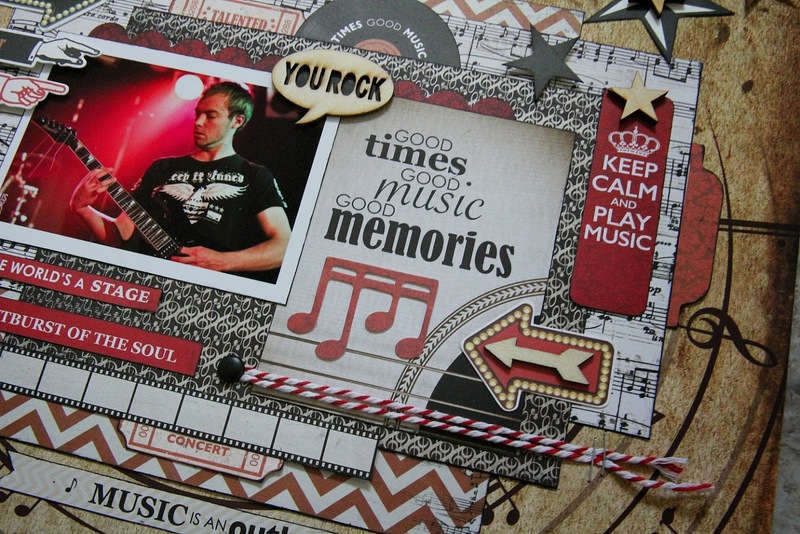 Wonderful creations....looooove the rock one with the way you've done the circles and stripes....great use of the papers! And the card is super cute. Hope you have a lovely SCRAPPY weekend;) !!!!!!!!!! 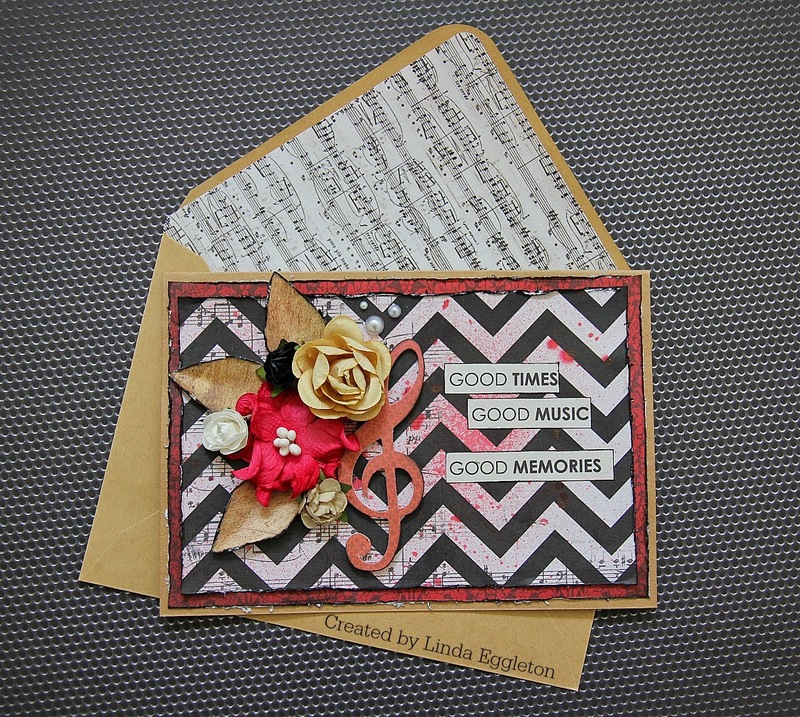 Linda, your page is so gorgeous....you layering is amazing and the placement of each sentiment and embellishment is perfect. Such a lovely card too.